This gorgeous comforter is from the Disney Baby range at Rainbow Designs and as soon as I saw it I fell a little bit in love! The first thing I loved about it was that it was so soft. 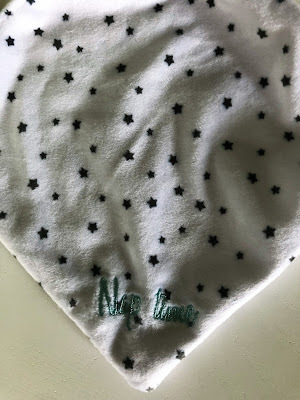 Perfect for baby to snuggle up against and as it is so well made there are no little bits anywhere that are hard or scratchy like you find on some lower quality baby toys which is great as I could give it to baby safe in the knowledge he won’t get scratched or hurt himself. The Disney Baby range always has a less traditional look and a more baby friendly look. 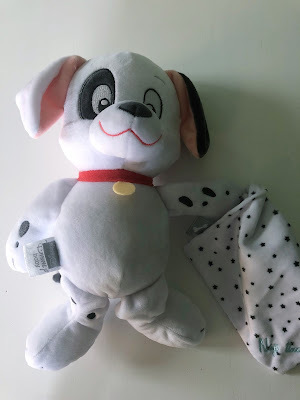 The colours and features are softer to make them more baby friendly and this little Patch from 101 Dalmatians is no different. It is instantly recognisable whilst still being baby friendly. In fact, when I opened the box with Patch inside Pickle said “oh it’s a Disney doggie for the baby” :) Dalmatian isn’t in his vocabulary yet but it was interesting to see that he instantly knew it was for the baby. If you want to get your hands on one of these super cute comforters then they are exclusively available at in Tescos. I also have a chance for one lucky reader to get their hands on one for FREE! Just click the box below to enter. 2. 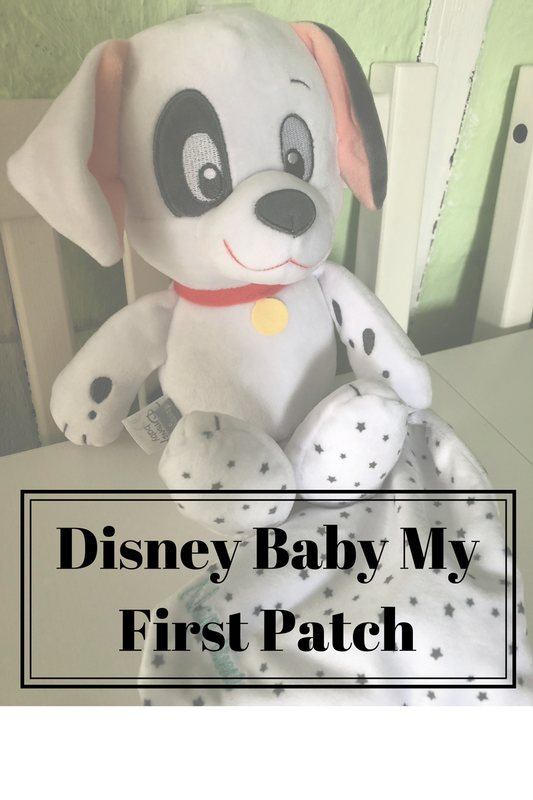 The winner will receive a Disney Baby My First Patch which will be sent directly from a third party PR company. There is no cash alterative and Through Amis Eyes takes no responsibility for any item not received or damaged during transit. I was sent the Disney Baby My First Patch for the purposes of this review. All words and opinions are honest and my own. I'd love to win this for my gorgeous baby niece Lila who is 4 months old! I would love to win this for my best friend, who is very literally having her first baby as we speak!! I'm so excited but nervous for her! I would love to win this for my youngest daughter who is expecting her first baby in September! for my BFF son Jake, it would be lovely. I'd love to win for my niece! It would be for the newest and cutest arrival in our family. My two friends are expecting a baby in June so this would be lovely for them. I'd love to win it for a family friend who has just had a gorgeous baby boy! I'd love to win this for our nephew. I would like to win this for a friend who has just had her first baby. I would love this for goddaughter who loves disney ! !